Unfortunately we parents are unaware of the fact milk tooth are as imp as permanent tooth, And when we talk of the health of your child’s primary teeth, there is no better time to start practicing good oral hygiene than now. Pediatric dental care ensures your child’s primary teeth stay healthy and free of decay and other dental diseases so that the a healthy permanent teeth grows in to the oral cavity. 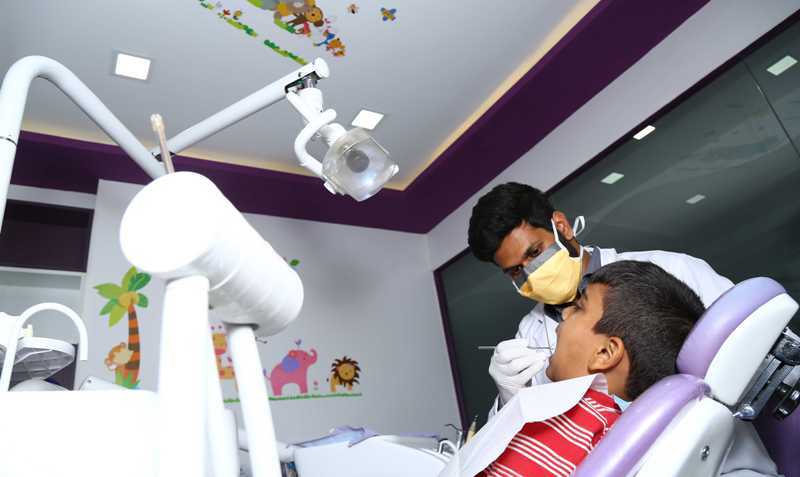 Gone are the days of gloomy ambiance with painful noises that further push the kids away.We provide an atmosphere that provides a very positive vibe for the kids by indulging them with fun activities, which makes us the best pediatric dentist in chennai. Our highly skilled staff ensure a best possible way to provide your kids with the friendliest experience in our clinics both in the dental chair and in waiting room. Our specialist not only treats the child, but also motivates and educates the child about the importance of good oral hygiene. Root canal treatment and much more.